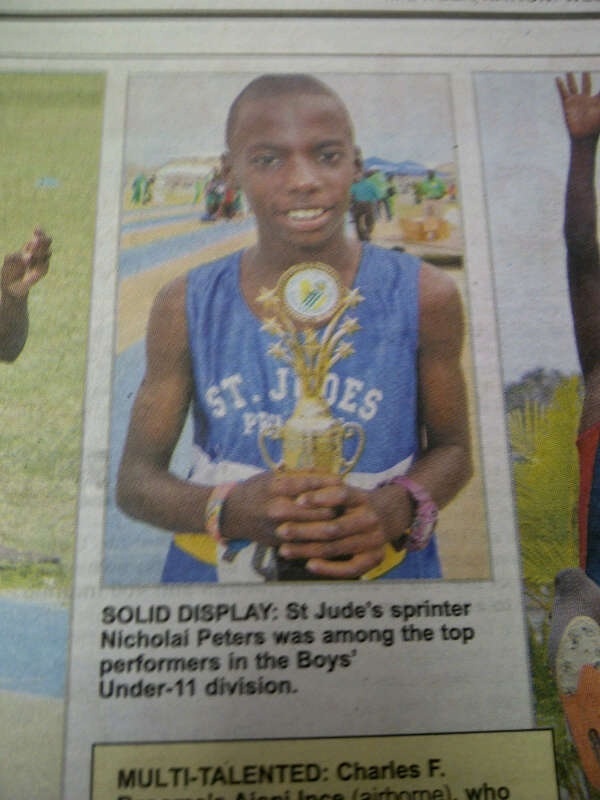 My nephew Nicholai, the third fastest Under-11 boy in Barbados. OMG…who would think that a little country school from Bim would make it all the way to the world wide web. Thanks for biggin up us little people and our SJPP star, Maq. It just goes to show that great things can come in little packages. Nicholai to the world!! Keep gushing Maquita; Nicholai keep achieving.